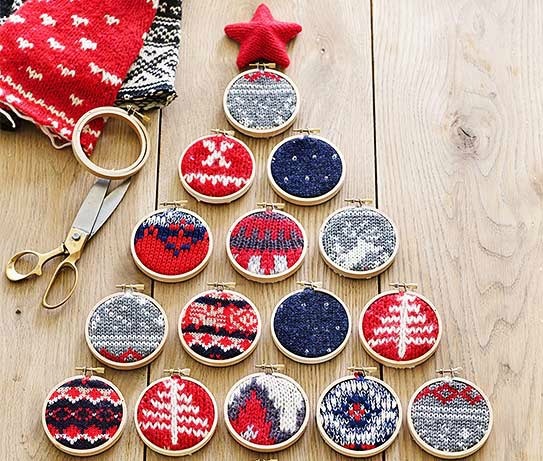 Simply place a small piece of a holiday sweater in a 3-inch embroidery hoop, tighten the hoop, and trim the swatch to fit accordingly. Hang these mini ornaments with strands of ribbon. 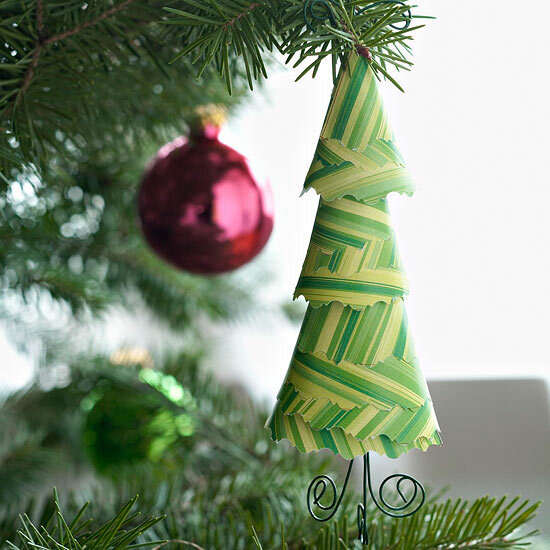 Gather your kids and friends together for an afternoon of Christmas crafting, and create a whole forest of these easy trees. The trick: Roll up strips of green scrapbook paper for easy stacking. 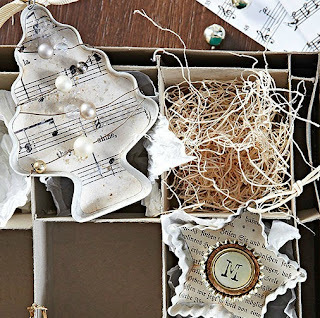 Repurpose vintage cookie cutters into shadowbox ornaments with shabby chic flair. 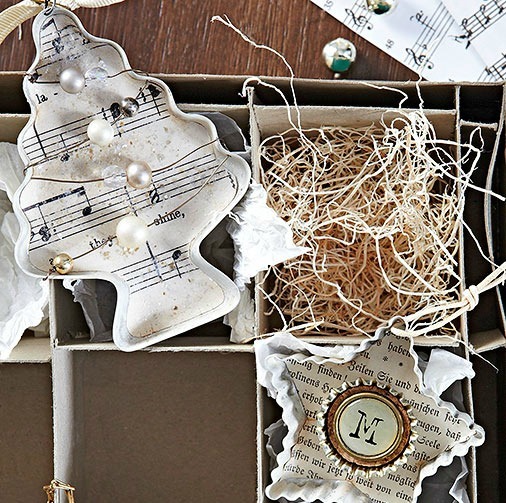 Brush cookie cutters with cream paint; then line the back with sheet music or book pages. Embellish with costume jewelry, metal details, and beads. 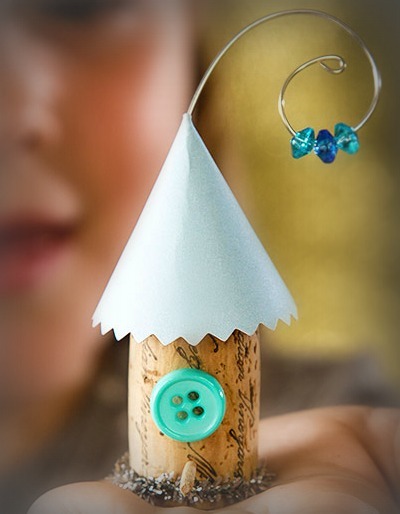 Even the littlest of hands will have no problem creating these easy ornaments. 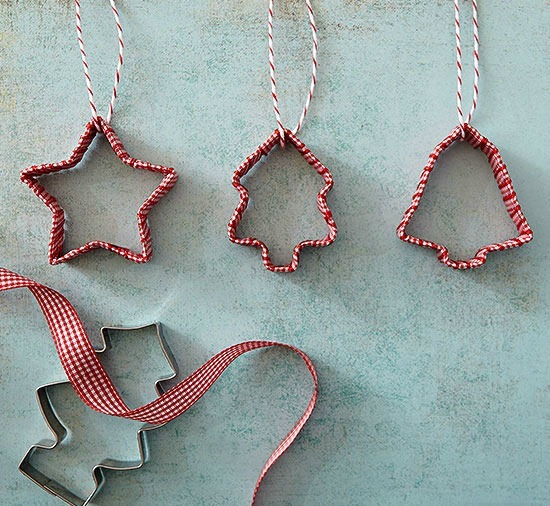 Wrap inexpensive cookie cutters with ribbon until covered; hang with a loop of patterned twine or narrow ribbon. 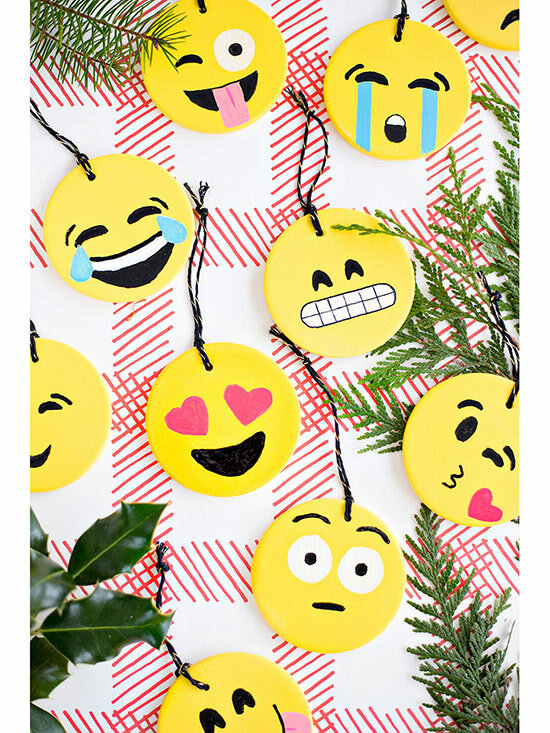 Your guests will squeal with delight when they see these fun-loving emoji decorations on your tree. Coat white ceramic ornaments with yellow spray paint. Once the paint is dry, draw the features of one emoji on each painted ceramic using paint markers. 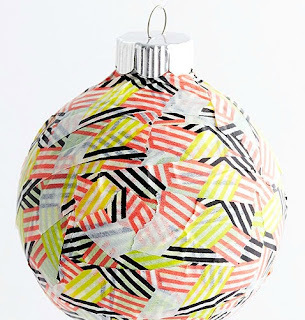 Hang the ornaments using a piece of knotted twine. For more tips on how to draw flawless emojis, check out the link below. 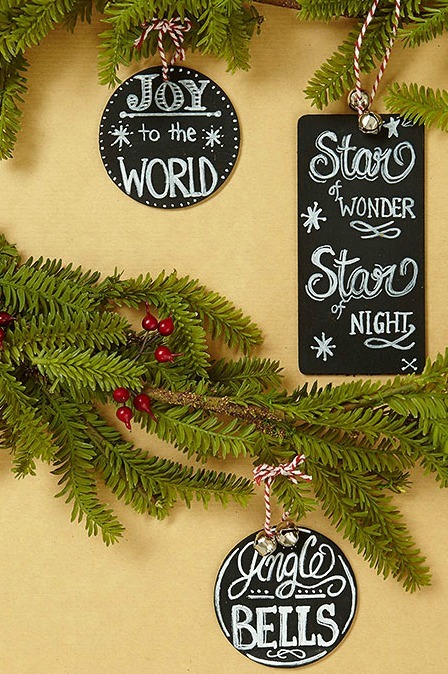 Showcase your favorite Christmas carol lyrics with this expressive tree-decorating idea. Spray unfinished wooden shapes with even coats of chalkboard paint. Once the paint is dry, lightly pencil your design onto the wood and follow up with a chalk pen. Jingling bells and red-and-white hanging loops complete these charming ornaments. These frosty cuties will add cheer to your tree and are quick and easy crafts to make. Punch a circle from embossed or snowflake-patterned white cardstock. 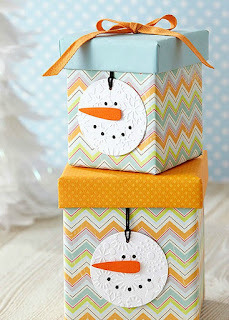 Cut out carrot nose from orange cardstock and attach with foam adhesive dots (available at crafts stores). Draw on eyes and mouth with black marker. Punch a small hole on the top of the ornament and thread loop through hole to hang. A little birdie told me your son or daughter would love making this easy Christmas ornament. Make a cone "hat" for a cork, attaching with hot-glue. Wrap a metallic pipe cleaner around the bottom of the cork, insert a toothpick near it, and glue on a small button as the birdhouse entrance. A 20-gauge wire hanging loop makes a pretty home for some plastic beads and serves as a hanger for your Christmas tree ornament. 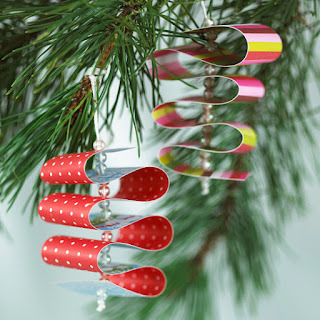 Create ornaments that resemble classic ribbon candy. Thread a needle with embroidery floss and knot at one end. Thread on one clear acrylic bead, then poke the needle through the end of a 1-inch-wide paper strip. Thread on two more beads and loop the paper (as shown). Poke the needle back through the paper. Repeat until the entire paper strip has been looped. Finish by running the floss twice through the top bead, and make a loop for hanging. 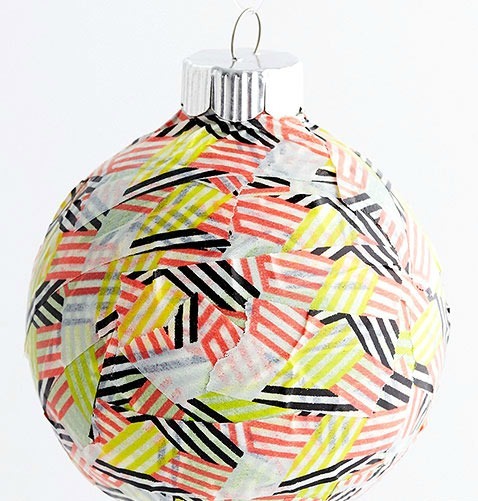 There are no rules—and no straight lines—in these decorative ornaments, made by covering clear, plastic balls with bits and pieces of washi tape.